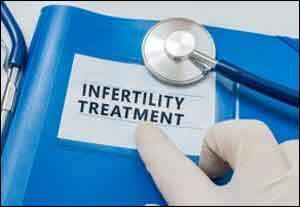 Mumbai: Expressing concern about the familial problems faced by the young couples in conception due to various factors such as changes in lifestyle and fast living, Maharashtra Health & Family Welfare Minister Dr. Deepak Sawant has appealed to the private IVF clinics to tackle the problem of infertility before it becomes a major social issue. He was speaking at a function held to inaugurate the new infertility treatment centre of Indira IVF Hospital Pvt Ltd at Sanpada in Navi Mumbai. Speaking further, Mr Sawant said, “In current times, due to changes in lifestyle, fast living and majorly due to polycystic ovarian disease (PCOD) problems, pregnancy problems are becoming common amongst couples. IVF treatment is a boon to overcome this rampant issue of today’s society.”Due to infertility problems, the whole family environment gets disturbed and sometimes things even head to divorce. Before this problem gets converted to social problem, many such private players should come forward to eradicate this increasing issue of infertility,” he added. The minister expressed happiness about the opening of the new centre of Indira IVF Hospital in Navi Mumbai and stated that it was a proud thing for Maharashtra. This is the 31st centre of the group in the financial centre of the city and the 2nd fully-dedicated centre for infertility treatment in Mumbai region. On the occasion, chairman of Indira IVF group Dr Ajay Murdia, Medical director Dr Kshitiz Murdia, Finance director Ashish Lodha and Operations director Manish Khatri were present along with a specialist doctors team and many couples.Speaking at the inauguration ceremony, Dr Ajay Murdia said, “Infertility treatment is possible. If a couple takes timely consultation and proper treatment, then they can fulfill their dream of becoming parents. The new establishment in Navi Mumbai is destined to bring the joy of parenthood in lives of couples facing infertility issues.